The official line-up of the 139th Kentucky Derby contenders has been announced! To give you all the latest information on racebooks and wagering, our writers have compiled all the relevant information related to the 20 participating horses and the alternative. 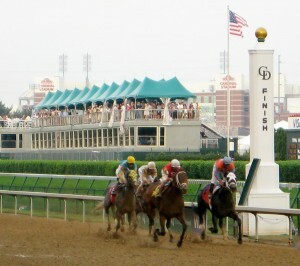 Check DerbyBetting.org regularly to be prepared for Kentucky Derby betting, and learn how to pick a winner before the “Run for the Roses” begins. We help you to get the best bets online and have a long list of trusted US-friendly racebooks here to keep you one step ahead. May 4, 2013 Update: #1 Black Onyx and Alternative Fear the Kitten have been officially withdrawn from the race.